Putin has complicated life for Ukrainian exporters. The President of Russia Vladimir Putin signed a decree, which prohibits the direct transit of cargo shipments from Ukraine to Kyrgyzstan. According to the document, posted on 3 July on a Russian legal information portal, international road and rail transportations of goods from Ukraine via Russia should be carried out only via the territory of Belarus. At that, the cargo space of vehicles and rolling stock, which transport transit goods, must be sealed and tracked using the satellite navigation system GLONASS technology, according to Putin's decree. The decree set a complete ban on transit of goods covered by the Russian embargo (meat, dairy products, vegetable) and that in the Russian Federation are subject to the rates of import customs duties that differ from zero. The decree comes into force on July 1 and will be in effect until 31 December 2017. The delivery of goods from Ukraine to Kazakhstan is subject to analogous restrictions for the same period of time. 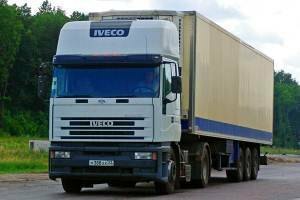 The Ministry of Infrastructure of Ukraine issued a comment on this decision by saying that the policy may entirely block the transit of goods from Ukraine via Russian territory, not only to Kazakhstan and Kyrgyzstan, but also to third countries. "The introduction by the Russian Federation of restrictions on the transit of goods originating in Ukraine is economically and legally unjustified and will expectedly lead to an artificial deterioration of Ukraine's terms of trade with third countries, particularly in Central Asia. Russia's restrictions are non-transparent, unjustified and discriminatory, and therefore violate Russia obligations, particularly taken within the framework of the World trade Organisation and the agreement on free trade zone as of 18.10.2011." the ministry stated. Earlier, Kazakhstan recommended Ukrainian carriers from 1 July to carry the goods in bypass of Russia – via Georgia, Azerbaijan and the Caspian Sea to Aktau, or through Turkey, Iran, Turkmenistan and Uzbekistan.